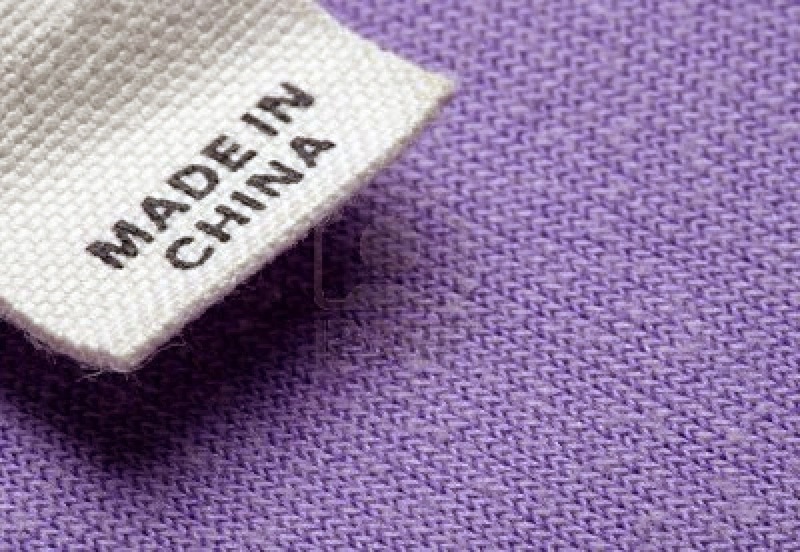 Unless you've been living under a rock this past decade or so, you're probably aware that everything, but everything, is made in China these days. From clothing to shoes to watches to electronics...chances are a decent percentage of your possessions were made there, even if you bought them somewhere else. Until a couple of years ago, however, the Chinese goods market was open exclusively to wholesalers - unless you happened to be visiting China (and people from Israel did, and still do, take themselves and their interior designers/architects there to buy whole house contents and ship them here). With the ushering in of the online Chinese retailers, now you, too, can order goods directly from that country without getting out of your comfy chair. Probably the best part about ordering goods from China is that shipping costs are very often free, or at least negligible. Therefore, the price you see is almost always what you pay, as opposed to US/UK sites, where you can go through a long, annoying checkout process only to find you're paying exorbitant shipping fees (at which point you might give up in utter disgust). The prices themselves are also quite often ridiculously cheap compared to the price of similar items in stores throughout the western world. However, there are drawbacks to ordering from China that the savvy shopper should be aware of before you spend your money on a huge amount of cheap, useless junk. We'll discuss these in a minute, and also how to avoid these pitfalls as best you can (nobody's perfect). AliExpress is a huge marketplace, similar to eBay (which now also has many Chinese vendors, after banning them for years). Millions of items are on offer from thousands of sellers, including many brand name clothing, watches and electronics. eBay, of course, gives you the option of paying via Paypal, with the usual assurance of safety and reliability that go with it. AliExpress won't accept Paypal, but has its own payment method called AliPay which works in a similar fashion. The vendor won't be paid until you've confirmed receipt of the item, and as in Paypal, there is an AliExpress dispute system if the item isn't up to your standards, through which you can either request a full or partial refund and alert the powers that be at the site to fraudulent sellers. As in eBay, there is a feedback system which can help you determine whether a vendor is worth buying from or not. It's almost all knockoffs. This may not be much in the way of news to some of you, but if you want the genuine article, China isn't where to find it. Mind you, some of the knockoffs may have the original brand name on them, and may even be of similar quality to the original (and even be made by the original company's employees on the production line, after hours), but you may also be getting cheap garbage. Look very carefully at all the photos of the item to look for flaws in the manufacturing process. Here is a list of abbreviations to use when searching for knockoffs of a particular brand. When in doubt, ask. The Chinese vendors are very eager to make a good sale, and they'll be happy to answer any questions you have about the item you wish to buy, and even send a photo of the item they're selling you (many brand-name knockoffs have the logo Photoshopped out of the photos they show online for legal reasons, so if having the logo is important to you, you'll want to see an unedited photo). It's also wise to ask the vendor what size shoe or garment would be best, given your measurements. Another way to ask for general help with the site is the AliExpress Israel Facebook Group. Feedback is very important - pay it close attention! I would steer clear of a vendor with zero or single-digit feedback, no matter how nice-looking the item or how tempting the price. It's best to learn from others' good or bad experience. Feedback on the particular item is also very important. I prefer a seller with 95% or above positive feedback and as many sales as possible, preferably 3 digits and up (in eBay, this would be 99% and up). It's also crucial to read any negative feedback to see what exactly was wrong with the item, was it true to stated size, did it arrive on time, etc. If you choose to give negative feedback, the seller may promise you all sorts of things in order for you to cancel the black mark. Don't, unless you're satisfied it was an honest misunderstanding. Also, Never close a dispute with a seller until the issue has been resolved to your satisfaction. You won't be able to re-open it later. Shipping from China can take anywhere from 2 weeks to 3 months. Some of it can be Israel Post's fault as well, but that's the price you pay for free shipping. Avoid expedited shipping if you can - the authorities here in Israel will tack on all kind of release fees. In addition, the Chinese new year occurs in early February, and deliveries ordered around that time of year may be held up due to the vacation most workers there take. Chinese adults, especially the women, are tiny. Their sizing system looks like vanity sizing, only in reverse. My not-very-large preteen can easily wear clothing designated as women's sizes; anyone over a size S or M should probably search for "plus size" clothing. It's crucial to measure yourself and check the sizing chart, even for shoes. Even then, you might want to consult the seller or go one size larger, to prevent what happened to this woman (in this case, ordering from Singapore, but same difference) . Kids' clothing is somewhat more standardized. Both AliExpress and eBay have little in the way of cashback; the best is 2% from AliExpress and 1.1% for eBay from TopCashback. AliExpress, however, may provide store coupons if you buy over a certain amount at a given store. Also, general coupons (on purchases from mulitple AliExpress vendors) are available at certain times of the year, e.g., a Chinese holiday on 11.11, when you play games on the site and cash in points for coupons of differing value. Don't forget - in the case of Aliexpress - to use the Israeli Cashback site! It offers up to a 5% rebate. on your purchase. LightInTheBox - has a very good and reliable selection (with Western sizing) of prom and wedding dresses as well as many other items. Shipping is free worldwide. Cashback is a generous 10% from TopCashback and BeFrugal. TBdress is another reasonably-priced gala apparel site which I've never ordered from, but have heard good things about. Cashback is 10% at TopCashback and 7% at Mr. Rebates. The Israeli Cashback site also offers a 7% rebate. MiniInTheBox is LITB's sister site, geared more towards gadgets and phone/computer accessories. Here, too, shipping is free, with 9% cashback from TopCashback and BeFrugal. The Israeli Cashback site will give you a 7% rebate as well. DHgate and DealExtreme are similar, though less reliable sites (in my limited experience). All in all, shopping from China can be very worthwhile, if you adhere to the guidelines I set out above. Keep in mind, though, there will be both items you'll regret buying alongside those which you may regard as your best online purchases. Hope you have many more of the latter than the former!